Outreach & Education | Elizabeth J. Sbrocco, Ph.D. This sentiment echoes my motivation for active participation in outreach and education activities over the last 15 years. I view science outreach as an opportunity to engage and excite students and the public about the natural wonders around them. This is important not only for encouraging young people to consider science as a career, but also for educating everyday citizens of our planet about the important, but not always obvious, roles that the natural world and biodiversity play in their lives. Only once nature is valued will its conservation become a priority. 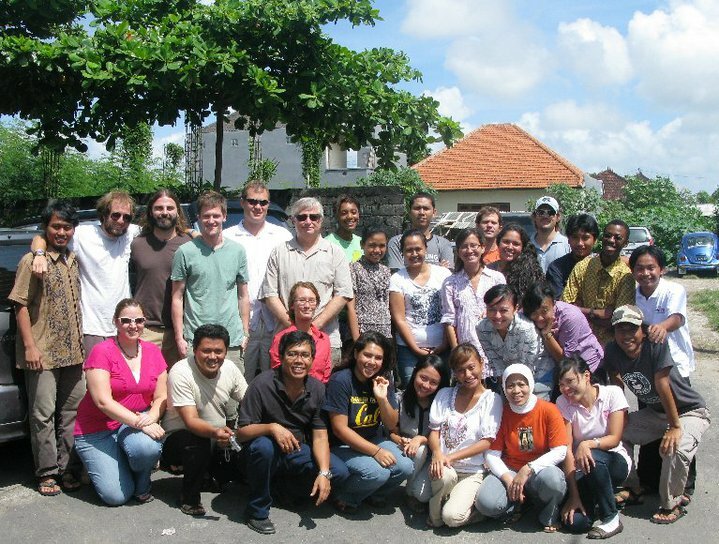 Co-taught a four-week course on Molecular Ecology and Evolution for Indonesian and American undergraduate and graduate students at the Indonesian Biodiversity Research Center. Lab instructor and guest lecturer for short course on Molecular Ecology and Evolution for Filipino graduate students and marine conservation managers. Gave presentations on evolutionary biology and careers in science to middle and high school students on Hawaii and Maui. Developed and led a half-day workshop on marine GIS and discussions on careers in ocean sciences with NC high school students. Gave presentations on my personal research and careers in science to middle school science classes. Gave lectures on important topics in biodiversity science to NC high school and middle school science teachers. Lectured and led hands-on activity on marine population genetics to AP Biology Class.